She claims that her son did not, as Epic allege, help create the cheat software, but simply downloaded it as a user, and that Epic “has no capability of proving any form of modification”. There’s also the matter, as TorrentFreak point out, that you can’t actually sue a minor directly, raising the possibility that Epic didn’t know the full identity of the accused before going ahead with the case. The cases began last month, when Epic began taking action against individual users who had used (and were allegedly associates of) the site Addicted Cheats to obtain “aimbots” that would give them a competitive edge in the game. Those cheat services aren’t free, with players paying between $5-$15 a month for them. Epic has decided to take the users to court, rather than just ban them, after deciding that the modification of the game’s code is against Fortnite’s End User License Agreement and the Copyright Act. 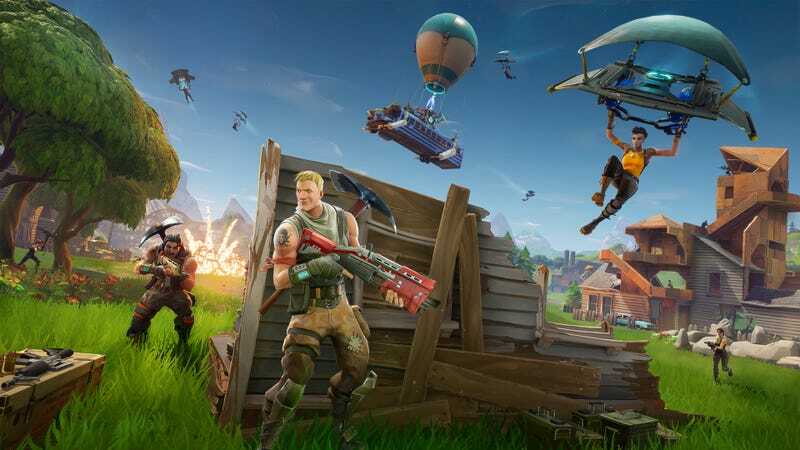 “This particular lawsuit arose as a result of the defendant filing a DMCA counterclaim to a takedown notice on a YouTube video that exposed and promoted Fortnite Battle Royale cheats and exploits”, Epic says in a statement given to Kotaku. “Under these circumstances, the law requires that we file suit or drop the claim. UPDATE: 9:40pm - Added more detail to mother’s complaints summary for those unable to see image clearly on mobile.